After the migrant crisis of 2015, when Europe was flooded by asylum seekers, 2016 saw a sharp increase in refugees and migrants asking for assistance to return voluntarily. In Norway, homecomings are being sped up by the harsh climate, winter darkness and failure to adapt. In 2016, the International Organization for Migration (IOM) helped a record 1,500 asylum seekers to voluntarily leave Norway, which marks a 25-percent increase from the year before. Throughout Europe, IOM assisted 81,000 migrants to return, which is an increase of nearly 50 percent compared with the year before, Norwegian national broadcaster NRK reported. The chief of IOM Norway, Steve Hamilton, is not surprised with the spike in returns after a dramatic surge of asylum seekers who made their way into Europe in 2015. "They are expected to be able to work, care for their families and contribute to the communities they came to. But here there are few jobs, and besides their qualifications are often not recognized," Steve Hamilton told NRK. Another hurdle for the newcomers on their way to Norway's job market, already plagued by unemployment, is their low command of Norwegian, which remains insufficient by most employers' standards. "Many [of the newcomers] have expertise and skills that are not used today. If you are going to be good in Norwegian, you must get the opportunity to practice. And work is the most important arena for practicing languages," Gina Lund, Director of Competence Norway, told NRK. A remarkable feature of this homecoming trend is that many asylum seekers have requested return trip assistance before having their asylum application approved or even before having applied altogether. "People expect to get permission within a certain period of time. When they discover that it takes a lot longer, they start having second thoughts on whether it pays waiting so long for an answer that may prove negative," Hamilton explained. The Ibrahims are a Syrian family of nine who by their own admission would rather return to a refugee tent in desert Lebanon than live in a nice house in northern Norway. The family from sunny Aleppo found itself unable to adapt to the cold and the winter darkness of the tiny Sami village of Karasjok they had been referred to by the Norwegian Migration Board. "We thought we were going to paradise when we were heading to Norway and that everything would be fine. But since we arrived, we have not had a good night's sleep. The kids are always crying," mother of seven Jalilah Asad Ibrahim told NRK. — Frommer's (@Frommers) 16 декабря 2016 г. ​However, isolation proved to be an even harder ordeal to endure. The Ibrahims, who like many of their fellow asylum seekers, only speak Arabic, felt lonely and deserted. "The children don't get on here. They want back to the tent in Lebanon, where they can play outside in the sun with relatives and friends all day long. Here it is cold and dark," a sad Mohammed Eid Ibrahim told NRK. 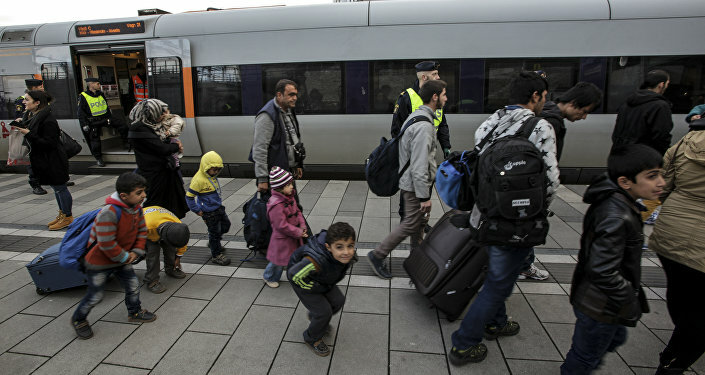 In 2015, Norway received a record 32,000 refugees. However, the "bumper crop" year was followed by only over 3,000 asylum seekers in 2016, following a marked tightening of asylum laws. — Torkill Lademoe 🌈🕹 (@Ladeluff) 4 января 2017 г.